Spinning yarn is one of those simple and miraculous transformations that I’ve watched but not fully understood until I tried it myself. 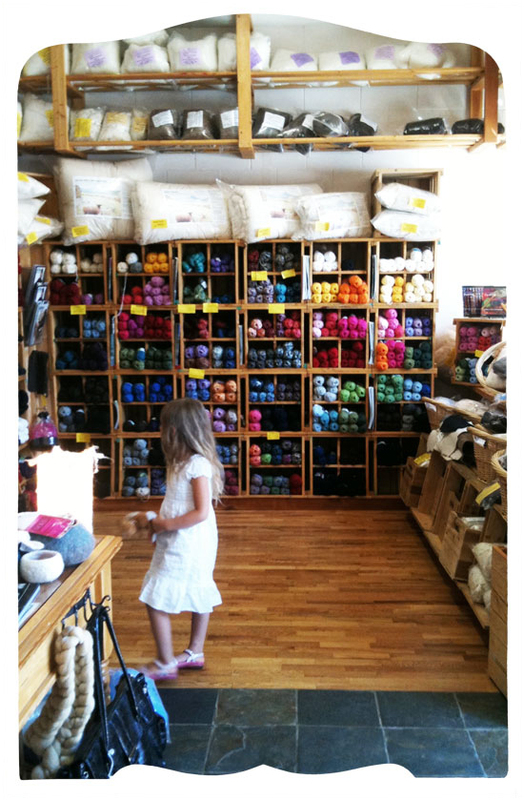 I had the opportunity quite unexpectedly one afternoon when I stopped in at Birkeland Brothers with my children. 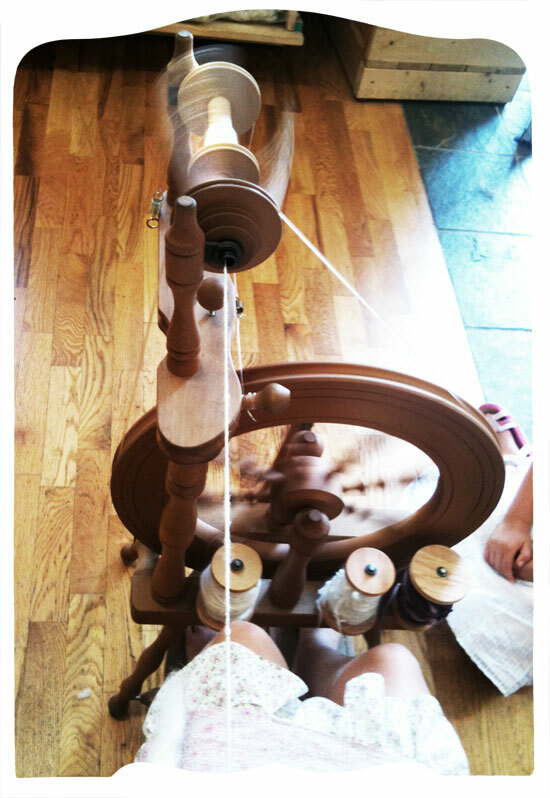 My tall girl and I made pictures to show you our spontaneous study in spinning, led by our kind, patient, and aptly named teacher, Pearl, who you simply have to meet and take a class with if you haven’t already. She showed us around a spinning wheel. We each had a go, drafting out the wool and moving pinchy fingers along to bring the twist up, but not too far. 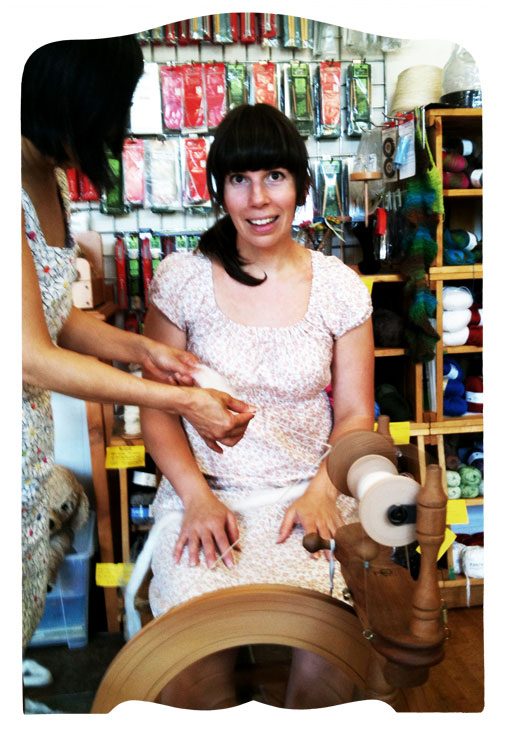 Treadling the wheel is just like taking a little walk. Pearl had my little one walking it while she held the twist for her, very smart. And it seems that I can now set my tall girl to yarn production! Isn’t that what people have children for? We are very much in love with the process. To think we might now spin our own yarn! I have a fleece waiting at our little country cottage in England for just this sort of bravery. 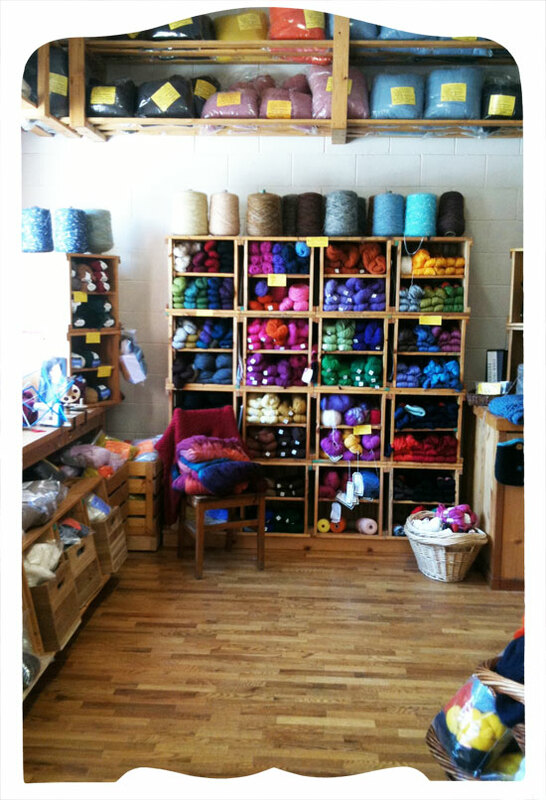 p>We used to live just round the corner from Birkelands, we’d peek in the back to see the amazing antique carding machine turning, and choose yarns for all sort of knitting, water felting, needle felting, crochet and weaving projects. Also yarn for imaginary projects made up to justify buying gorgeous yarn simply because it is so gorgeous. p>Birkeland Brothers Wool has been running since 1939, now into the fourth generation working with the carding machine brought over from Norway. An extraordinary history. Our impromptu short about spinning wheels. Thanks Pearl! Such a thrill.